Please fill out the Contact Information Form below. 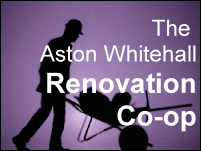 Your submission will enable you to access to all Subsidy, Discount & Rebate Programs offered through The Renovation Co-op. Note: No personal information is ever shared or sold to 3rd parties. All client information remains strictly confidential. Would you like an estimate for the renovations upon completion of Drawings?